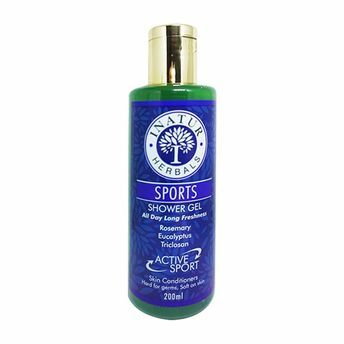 A high performance product that leaves your mind and body active and fresh at the start of the day and also relaxes you after a tiring physical activity or sports, Inatur Sports Shower Gel leaves the skin smooth and comfortably clean. Additional Information :Inatur is a renowned beauty brand that focuses on world-class skin care products made of 100% natural ingredients. Constant innovation and quality drives this company towards success. Inatur Sports Shower Gel gets you one step closer to an ever glowing beautiful skin!